Commonly referred to as “lady’s tresses”, Goodyera comprises about 25 species of orchids who derive their common name from the idiosyncratic shape of their flowers. With a quite wide distribution, it’s possible to find these plants nearly anywhere in the world; they’re found on every continent but Africa and South America and even on a few islands out in the middle of the ocean. However, despite their geographic breadth, Goodyeras are difficult to find – many of them are endangered or threatened due to deforestation. Their leaves have a creeping habit, and the plant has the ability to grow towards sunlight. Closely related to ​Spiranthes, another orchid genus with a distinctive spiral-shaped column of flowers, Goodyera contains plants with real beauty. For instance, G. repens, commonly called the rattlesnake plantain in North America, bears the characteristic spiral-shaped flowers of the genus, which are typically white. Though fairly rare – in the wild, it grows only in forests of a certain age – it nonetheless maintains a kind of charm. 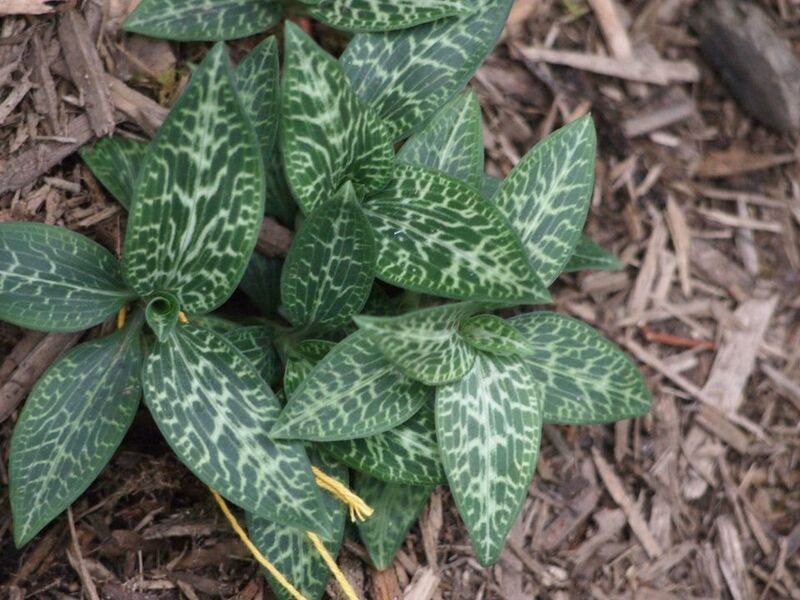 It’ll be difficult to find Goodyera plants in any kind of nursery, especially since most species in the genus are protected, but if you do it doesn’t take a master gardener to care for them. However, care for them can vary widely from species to species, especially since the genus is distributed across such a wide range. Light: Make sure not to expose them to too much direct sunlight, which can cause leaf tip burn and end up scorching the foliage. Most of the North American varieties live in forests and therefore prefer partial sunlight, like that from underneath the forest canopy. Water: Keep their soil moist and do not allow to dry out. But make sure drainage is good: wilting leaves are a sign of root rot. Temperature: It varies from species to species, but Goodyeras are typically not frost tolerant. Soil: A well-draining potting mix should be fine, and consider a brand with some organic material like peat to increase fertility. Fertilizer: Feed regularly with a balanced, diluted fertilizer like a 20-20-20 for best results, and if the plant fails to bloom consider feeding them more. Goodyera plants grow from rhizomes and can be propagated by separation and replanting of those rhizomes. After separating, consider treating them with a rooting hormone to increase their ability to propagate. Don’t be discouraged, also, if propagation takes a little bit of time and effort; these plants won’t propagate easily. If grown in containers, repot annually or if the plant is showing common signs of stress like roots protruding from the container or falling leaves. When repotting Goodyeras, be very careful not to damage their fragile root systems, which can be fatal to the plant. If the plant seems crowded or stressed, it’s a good time to repot. Though there are many Goodyeras, the most commonly known are probably the North American varieties, all of which have some variation on the common name “rattlesnake plantain.” For instance, there’s the aforementioned G. repens, and another specimen which is found as far north as Canada is G. tesselata, or the checkered plantain, which has alternating patterns of color on its foliage. It’s difficult to generalize tips for an orchid genus with such a wide distribution. If you’re growing Goodyeras, you’ll need to adjust their care depending on the species you’re growing and its specific requirements. Nonetheless, the basics of orchid cultivation don’t change; it’s all about maintaining a proper balance of conditions, from heat to light to water to fertilizer, and keeping the plant from getting damaged by too much of any one factor. Keep an eye out for common orchid pests and enjoy.